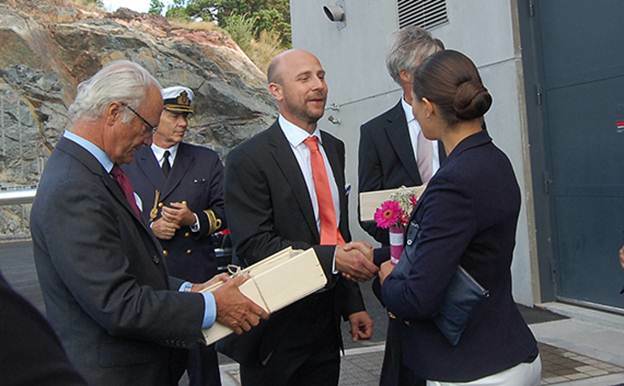 The inauguration of Oskarshamn Energi's new biomass-fired power plant was held on Friday August 28th, 2015. The King of Sweden Carl XVI Gustaf and the Crown Princess of Sweden Victoria honored the occasion with their presence and as inauguration symbolically fed forest residue to the fuel feed system. The official inauguration was followed by open doors at the power plant, where the public could visit the plant and learn about its operation. In his speech the King linked the power plant to local action on combating climate change and the upcoming climate meeting in Paris. He lifted the use of forest residue as a good example of utilizing something that would otherwise go to waste. In addition to the King also local county representatives and the Managing Director of Oskarshamn Energi gave their speeches as part of the ceremony. "This project has been a technical success and we have been able to combine the know-how of many different Valmet teams. This plant is an excellent representation of our energy production technologies as well as environmental and automation solutions, and will serve as an important reference facility also for future projects," says Bertel Karlstedt, Pulp and Energy business line President, from Valmet. Image: Jöns Wahlström, Managing Director of Oskarshamn Energi, thanking the King of Sweden Carl XVI Gustaf and the Crown Princess of Sweden Victoria for attending the inauguration. The new Oskarshamn Energi's combined heat and power plant (CHP) has a thermal output of 17.7 megawatts (MW) of district heating and an electrical output of 3.8 MW. 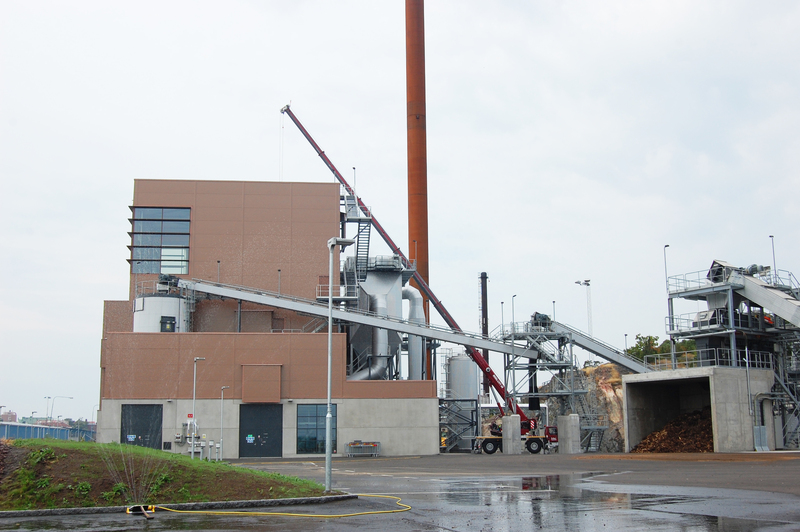 The CHP plant also has a flue gas condenser to provide additional 4 MW thermal output to district heating network. The plant will cover 70 % of the Oskarshamn municipality's annual district heat demand. The boiler is able to use renewable fuels with moisture content up to 55 %. The plant utilizes modular power plant design and has low emissions due to high combustion efficiency. Valmet's delivery included a complete power plant, including patented BioGrate combustion technology, installation, training and commissioning. The plant automation is based on Valmet DNA technology. Valmet also delivered a flue gas condenser and a ventilation system. Oskarshamn Energi provides electricity, heating, biogas and services in the Oskarshamn region in Sweden. The company has 30 employees and it is owned equally by Oskarshamn municipality and E.ON Sweden AB. It is responsible for distribution of electricity in most parts of the municipality and for district heating distribution in the urban area.